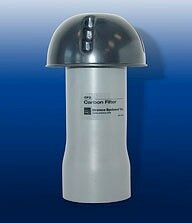 Orenco carbon filters are used to reduce the odor of sewer gases. Containing granulated activated impregnated carbon, the UV-resistant PVC housing slips onto standard Schedule 40-size pipe. Carbon recharge packages and adapter bushings are available. Custom sizes available. 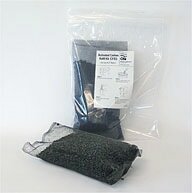 Orenco carbon filter recharge packs are used as a simple, clean method of refilling carbon filters. Offered in a ready-to-drop-in pouch for all standard carbon filter sizes.